Join Our Neighborhood Pharmacy Family! Save time and Money with our New Patient Benefit Program! This program benefits everyone by offering free prescription delivery on prescriptions covered by insurance and guaranteed lowest price on prescriptions not covered by insurance. There is no fee to be in the Patient Benefit Program. Sign up below to start saving time and money, and instantly receive store coupons to your email! 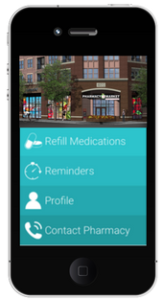 Download our Mobile App on Rx Local from your local app store!